She currently works on her Everyday Yemen project where she documents streets stories during the war. She is also a freelance photographer and contributor at StepFeed, New Internationalists and Alsfair Alaraby magazines. 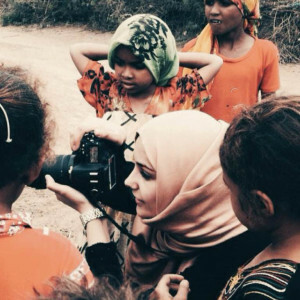 Previously Thana worked with Oxfam Yemen documenting child bride in Yemen. Thana’s work was featured in prominent magazines such as evocative, CNN Arabic and Zenith . It has also been displayed in a number of exhibitions in the US, Yemen, and lately in the institute du monde Arab in Paris where she exhibited her work of Yemeni women behind the stereotypes.